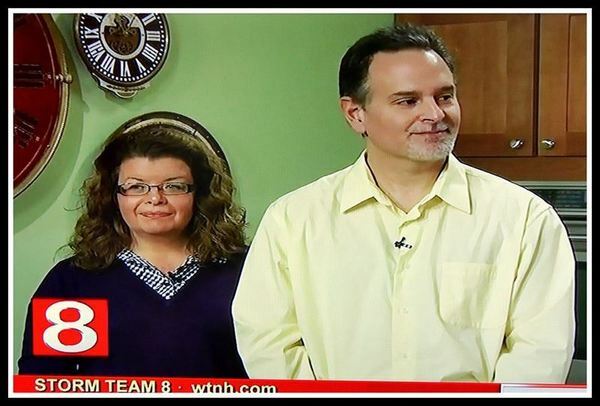 We were featured on CT Style at WTNH Channel 8 in New Haven, CT! Here are some pictures from the taping with host Jocelyn Maminta. We taped another cooking segment on CT Style at WTNH Channel 8! 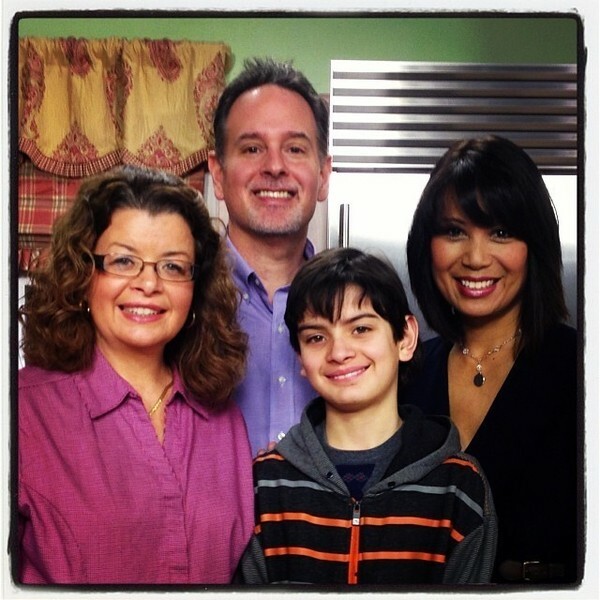 Connecticut Style Visit "Crumb Cake"
Michael, Maureen & Jeffrey Bonnardi with CT Style host Jocelyn Maminta. 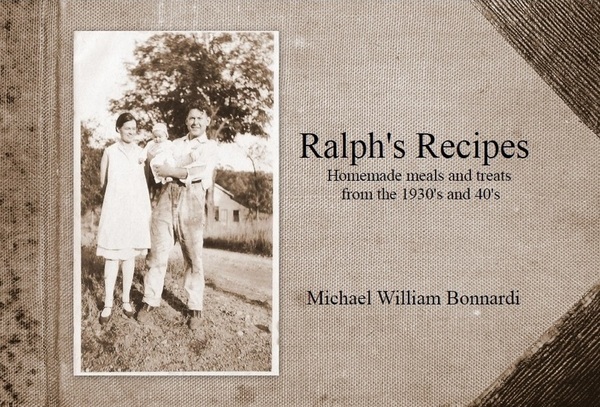 This is a book written to honor and preserve the memories and recipes of the early 20th century - namely the 20's, 30's, & 40's. Treasured amongst the belongings of Michael Bonnardi's parents' (Elizabeth & William) house, we came across a ledger-like book which were the writings of his maternal grandparents, Ralph and Katherine Neville. We felt we held something special while going through the handwritten pages. It was full of various recipes for homemade meals and treats, along with more than 80 diets for dogs. The recipes come from a time prior to the mass use of preservatives and artificial sweeteners. There is no high fructose corn syrup, no "polyunsaturated" / "saturated" goo, basically no artificial anything. With the trend to get back to basics and healthier meals these recipes are homemade all natural goodness. They come from a time frame of almost 100 years ago, but their value and strength still hold true today. Our first venture was to concentrate on the meals and treat recipes, with our next book to focus on the Diets for Dogs. We hope this book is an example for people to know that the findings of THEIR families past is a treasure to the future. Also, that with all the technology and advances of today, having something actually handwritten, saved and preserved to pass down to our family, your family and future generations is priceless. We have been sampling these recipes & trying to recreate them as they were prepared in the aformentioned timeframe. While we are not professional cooks, the nostalgic and historical aspect of this way of life is fascinating! Samples of recipes below - click on each picture to enlarge. Recipe #13 Crumb Cake. Delicious!!! Some of todays processed cinnamon cakes have over 30 ingredients. Three of us ate almost one whole crumb cake in one sitting with no heavy "rock in your stomach" feeling afterwards. This is not your box brownie/cake mix!!! No high fructose corn syrup or partially hydrogenated anything. It has a natural chewier texture that differs from a box mix. But we will say, there is a delicious chocolatey after-taste that leaves you wanting more. Family Comments -- Dad says: "Nutritious & delicious" Mom says: "Light & tastey" Son says: "Good and you could use the juice as a soup"
A flavorful denser cake. Moist! Rich. The recipe called for either white OR brown sugar...... we used half of each. I think next time we'll try just white - only to see if there is a difference. Not your Sunday pot of "gravy" dinner. A garlic olive oil infused base where you toast the pasta before cooking it in the tomato/sauce. You do NOT have to be a member of Paypal. Just click the Paypal link then choose the "Don't have a Paypal Account" link and pay securely using your debit/credit card. We do not see or store any debit/credit card information. Pricing is $14.95 + $3.00 shipping + $.95 CT sales tax. Total $18.90. For sales inquiries/information contact us at "sunday morning publishing" by filling out the form below.